Right Side Capital Management is a technology venture firm based in San Francisco, CA. They have made a number of blockchain investments including Airfox, Hanzo, Elemetric and others. Want more detailed information on Right Side Capital Management and more than 700 additional crypto hedge funds and VC funds? Download the Crypto Fund List! 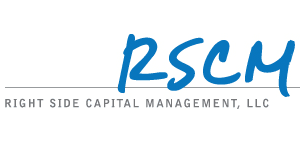 Want more detailed information on Right Side Capital Management? Get 30+ categories of information on Right Side Capital Management and more than 700 crypto hedge funds and crypto VC funds in the crypto fund list.